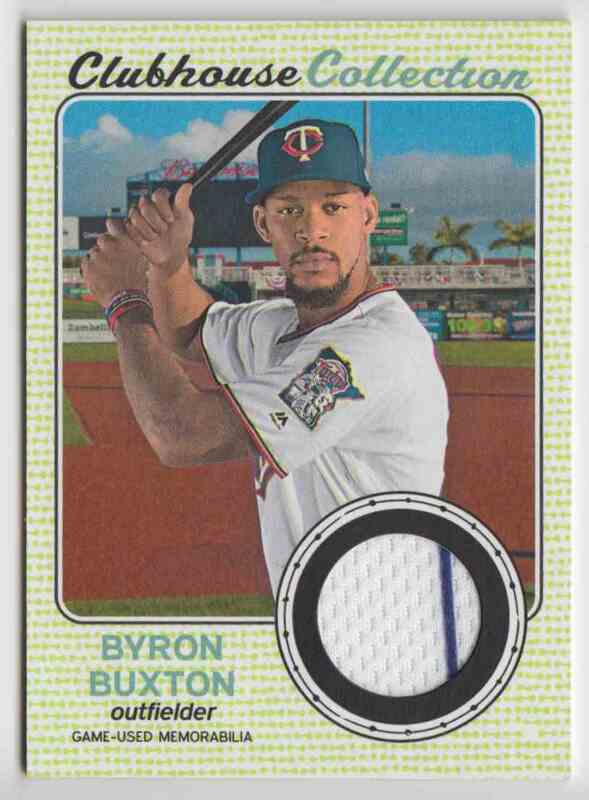 This is a Baseball trading card of Byron Buxton, Minnesota Twins. 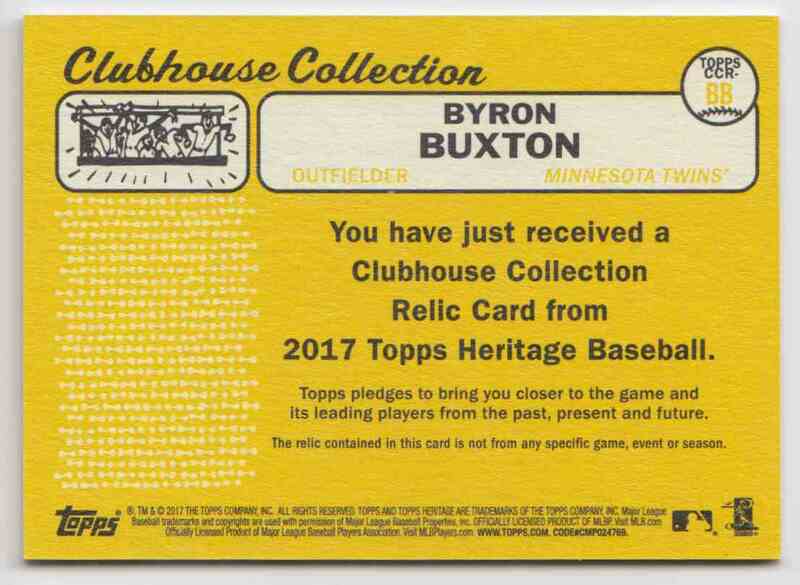 It comes from the 2017 Topps Heritage High Clubhouse Collection Relics set, card number CCR-BB, embedded Jersey. It is for sale at a price of $ 5.00. Returns accepted within 14 days. Buyer pays the shipping. All items will ship in a bubble mailer in a penny sleeve, top loader, and team bag.